Each January, we like to reflect upon how the open access landscape has evolved in the past year and what the year ahead might hold. Key themes for 2014 were again collaboration and steady progress on both gold and green open access. These trends, unsurprisingly, are set to continue in 2015 and are part of broader activities to accelerate open science, including open research data. Open access continues to advance and evolve, thanks not only to the enthusiasm of advocates but also due to the creativity, hard work and professionalism of a large number of publishers who make it work in practice and on a global scale. While it can feel like the discussion around how to make open access a reality is a debate that separates stakeholders, the reality is we all have more that unites us. It's important to remember and celebrate everyone's achievements and contributions to expanding access to science. On the closely related topic of open research data, 2014 was a busy year. We continue to engage with an array of external partners, some focused on policy and others on practice and some on both. 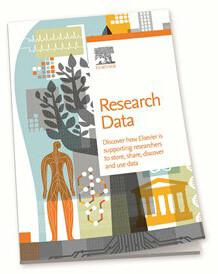 Great examples are RECODE and the Research Data Alliance. We launched an Open Data pilot, giving authors the option to make their supplementary data files publicly available under a CC-BY license. In addition we continue to support authors who wish to archive their data in a public repository through our database linking program. We will take this one step further in 2015, through new collaborations between Elsevier and data centers, where we encourage researchers to submit data DOIs with their articles so that their data will be indexed and easily accessible. In 2015, we will further clarify our commitment to making research data accessible and useable through our research data policy. On open science or Science 2.0 more broadly, we again are working on an array of international initiatives. This includes collaborating with the European Commission in support of their Open Science agenda; with Science 2.0, participating in the Open Science forum facilitated by the National Academies of Science; and similar initiatives in many other parts of the world with key stakeholders. That's a good segue to celebrate the achievements of my journal publishing colleagues here at Elsevier, who have doubled the number of OA articles published in 2014. It's terrific to be able to offer researchers a breadth of publishing options, and wonderful to see these embraced. As you may be aware, Elsevier has had a test-and-learn approach to open access licensing. We have decided to make some changes to our OA licensing policy to simplify our communication to authors and operations and take advantage of new Creative Commons licenses. We will continue to offer authors a choice between a commercial user license (CC-BY) and a noncommercial user license (CC BY-NC-ND), but we will no longer offer the CC-BY-NC-SA version of license in our proprietary journals – only 11 percent of authors chose that option. We have also migrated from version 3.0 to version 4.0 of the Creative Commons licenses. To support the growth in OA publishing and our commitment to author choice, there is a tremendous flurry of helpful activity throughout our Operations departments and from the ScienceDirect team to ensure that we can disseminate OA articles widely and correctly. This is much more fiddly and hard than it might first appear, with numerous changes required in formatting, labelling, licensing, metadata and production. There have been occasional bumps on the road of our OA journey which we can share and learn from, but I'm amazed at the amount of cheerful and creative effort that goes into making OA publishing a real success. And keeping everyone up to date with these changes so teams like Customer Support can quickly and correctly answer author queries is no small feat. So we have introduced a formal OA training initiative for our employees this year. We also stepped up our communication and marketing activities, which among other things helped us jazz up our contributions to global OA week 2014. For 2015, you may have already read about our upcoming open access journal that will publish sound science in any discipline. With a community-driven platform based on integrated technology, researchers will enjoy a streamlined, simple and quick publication process, and their research will be connected and shared with relevant communities. The journal will be developed in close cooperation with the research community, so we can continuously improve and evolve the journal in line with your needs and feedback. You can also expect to see a steady increase in our OA titles. Right now we communicate that Elsevier publishes 120 open access journals, but that figure only represents the proprietary journals we publish. In 2015, we are going to communicate more about the society and local open access journals we publish on behalf of partners. Watch this space! There's also some techno funk groove magic stuff happening for the Natural Language Processing community. We have put 110 open access CC-BY-licensed articles onto a GitHub site. There are 11 articles in each of 10 domains: Agriculture, Astronomy, Biology, Chemistry, Computer Science, Earth Science, Engineering, Materials Science, Math and Medicine. In addition, we commissioned a treebank from 10 of the articles. To the best of our knowledge, this is the first corpus and treebank made of the full text of journal articles from such a broad range of scientific disciplines. It brings exciting benefits for researchers doing advanced text mining and natural language processing, and will help them create tools that work better on research articles. It was just launched at a Force11 hackathon, and I can't wait to hear more about the ace ideas that have emerged to help evolve this resource even further. While much of our externally visible effort in 2014 focused on scaling up gold open access, we never forget that many parts of the world are more enthusiastic about green open access. For example, in 2014, new green OA mandates emerged in China, the UK and the US. We have engaged closely in each of these countries and many others. We've also had pilots with institutional repositories going for several years, for example, with the World Bank. 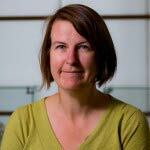 While we've been learning from others in the research community, and reflecting carefully on green open access, we look forward to communicating more about our vision, approach and services. At the industry level, Elsevier is very active in CHORUS, an initiative to provide access to author manuscripts after their embargo period expires. Access is provided on the publisher's platform, saving researchers the administrative burden of self-archiving. Research institutions want to showcase their research via institutional repositories, and so we have been piloting an array of metadata, API and other technical tools to help them do this. How long those embargo periods should be before manuscripts become publicly accessible is a key issue. To help set evidence-based policy settings of embargo periods, we have contributed to growing industry data. Findings of a recent usage study demonstrated that there is variation in usage half-lives both within and between disciplines. This finding aligned with a study by the British Academy, whichalso found variation in half-lives between disciplines – and half-lives longer than those previously suggested. These studies are important because half-lives give us an indication of the usage pattern of a particular journal. In turn, the usage of a journal is an important metric for librarians when renewing subscriptions (the subscription business model underpins the green open access model). If an embargo period falls too far below the period it takes for a journal to recoup its costs, then the journal's survival will be jeopardized. The trick is setting the right embargo period for a journal, and unfortunately there is no magic one size that fits all. Meanwhile, we continue to scale up our Universal Access initiatives. Initiatives such as the Ebola Information Center, Accessible Books Consortium, Access to Research and Research4Life remain crucial for the world of research, and we spent a great deal of time and energy on them in 2014. In 2015, a particular focus will be on assessing the patient access programs we expanded last year. We are now providing more of our health science journals through two initiatives: PatientINFORM and the Patient Access System provided via the RightsLink platform. Both of these systems provide patients with access to important articles covering a wide range of therapeutic disciplines. Those are just some of the initiatives, and there's so much more I could say about how we're continually evolving our business to accommodate everyone's desire to expand access to research. Enthusiasm here is high, as we've overcome some challenges, gotten closer to our authors and seen a great deal of success. The year ahead promises to be even better, for all of us. 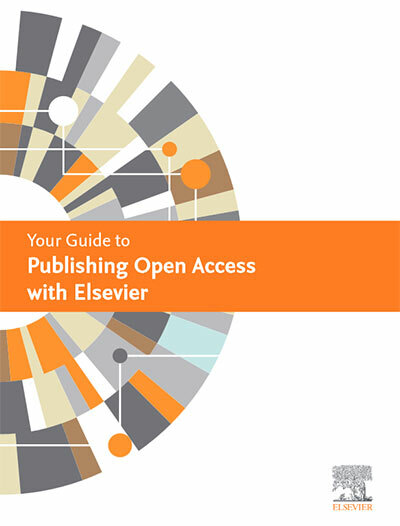 Read more about open access options at Elsevier.